The Mercedes-Benz C-Class traditionally offers a relaxing experience with current models offering fantastic interiors and a range of technological features. This traditional luxury car has now a series of worthy competitors ranging from the Audi 4, BMW 3 Series, Jaguar XE, VW Passat and the Skoda Superb. The majority of Diesel C-Class models, such as the C220d are quick but not as fast as the C250d which is more powerful. The C300h, is the new diesel-electric hybrid edition, which operates on battery power at a moderate level and the diesel engine switches on when stronger performance is required. However. 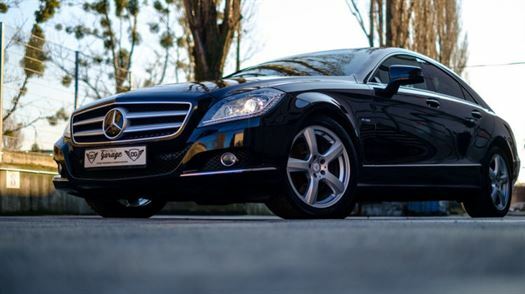 the plug-in hybrid C350e utilises a larger battery linked up to an electric motor which allows electric only usage within town commutation of upto 12 miles or so. However the 2.0 litre petrol engine is faster but not still not rapid. Various petrol engines are available, C200, C43, AMG C63 and C63 S models, which are fast enough. The C-Class comes with a variety of features such as conventional Agility Control passive springs depending on the trim type, an optional Airmatic air suspension or a bespoke AMG suspension. Neither of the Agility Control set-ups are comfortable over potholes and bumps at higher speeds, compared to smoother drives with an Audi A4 standard suspension. The AMG Line mode is an improvement for the best of the C-Class’s passive set-ups. It is worth investing in the Airmatic suspension as it provides better cushioning overall especially over the worst of the imperfections. Improved features for the C43 and C63 models come with the adaptive comfortable sports suspension, although still stiff over potholed roads. Neither of the three standard suspension profiles – SE, Sport or AMG Line – provide good agility, being inconsistent around bends and winding roads. Alternative versions with the optional Airmatic air suspension provide better performance. For example, if it is employed within the Sport mode then noticeable improvements are visible especially around winding roads. Alongside the stiffer suspension and faster steering, the C43 and C63 models are improved around corner bends, with enhanced stability in poorer weather conditions. The C-Class refinement is fairly poor, with diesel engines sound gruff and extensive car vibrations, whilst the C200 is fairly weak too in the contemporary market standards. It is also poor with regards to sound and wind noise on the motorways compared to many executive cars. This is also the situation with the C350e and C300h is flawed too in this respect, especially the clattery diesel in the C300h and with an inconsistent brake pedal preventing smooth stops in traffic due to the energy recuperation system. The C43 and C63 performance models are the noisiest due to the bigger wheels, stiffer suspension and boisterous exhausts. The interior is comfortable and there is plenty of adjustment to the driver’s seat (including electric adjustment of seat height and backrest angle, with a four-way lumbar adjustment). The steering wheel can move a long way in and out as well as up and down. The bulge at the footwell interferes with the position of your left leg and the space around the left foot area which can limit you. The dashboard buttons are within comfortable reach and easy to use, and other features are controlled by central console rotary and touchpad. Visibility from the front of the C-class is good, but the thick rear pillars and small rear window within many saloons makes it awkward to view over the shoulder. Every model now has a reversing camera is fitted, with standard front and rear parking sensors and a self-parking system installed for mid-level Sport versions upwards. The bright LED headlights for better night vision have been installed within the Sport trim. 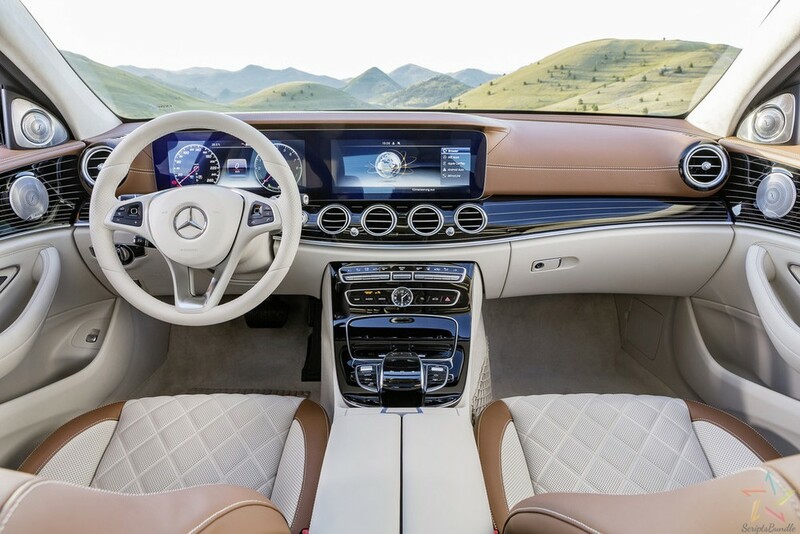 The infotainment system in every C-Class has a 7.0in colour screen mounted comfortably on the dashboard, operated by a rotary controller between the front seats. All models except the entry-level SE trim does have a Garmin system type sat-nav as standard feature. The Mercdeds C63 versions have their own optional, slicker, enhanced Comand Online system, with a 8.4in, higher-resolution display, and an additional touchpad controller. All models have a standard digital radio, two USB sockets in the centre console and an optional Burmester sound system except the entry-level SE models. The C-Class has a quality stylish internal interior layout look and feel, even though the material itself might not be as classy when explored further, however visibly sounds more appealing than the Audi A4 and BMW 3 Series. All versions have an alarm and engine immobiliser as a standard feature, while security experts Thatcham Research awarded the C-Class five out of five for resisting theft and four out of five for resisting being broken into. As a consequence the C-Class has scored impressive marks in its Euro NCAP crash tests, being awarded the maximum five-star overall rating, along with good scores across the board in the individual categories; including its child and adult occupancy protection ratings. The C-Class has three seats in the back, however the interior feels narrow and the large central floor tunnel removes foot space for the middle passenger. The head room is fine, but the optional featured panoramic glass roof may reduce some of this if chosen. The storage space is good, with a appropriately sized pockets in either door and map pockets on the back of the front seats. The front passenger seat gets electric height adjustment as standard, with fully electric seat adjustment being an option on Sport versions and above. Majority of the C-Classes have a 480-litre boot size and decent shape, except for the diesel-electric hybrid, the V8 AMG and the petrol-electric models whose boots are smaller. 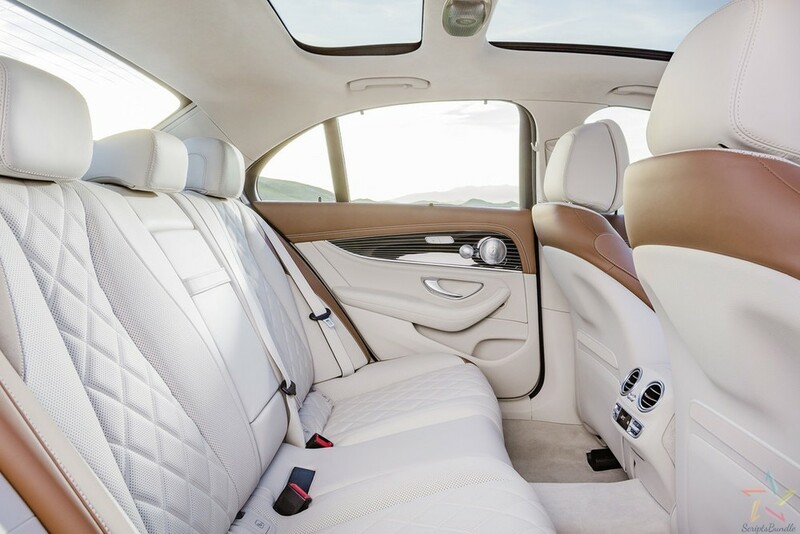 Most C-Classes have folding rear seats to extend the luggage space, and provides a flat load bay, present in all but the entry-level versions. The C-Class’s pricing is higher than an equivalent Audi A4, Audi A3 Saloon, Skoda Super and VW Passat but similar t0 a BMW 3 Series. 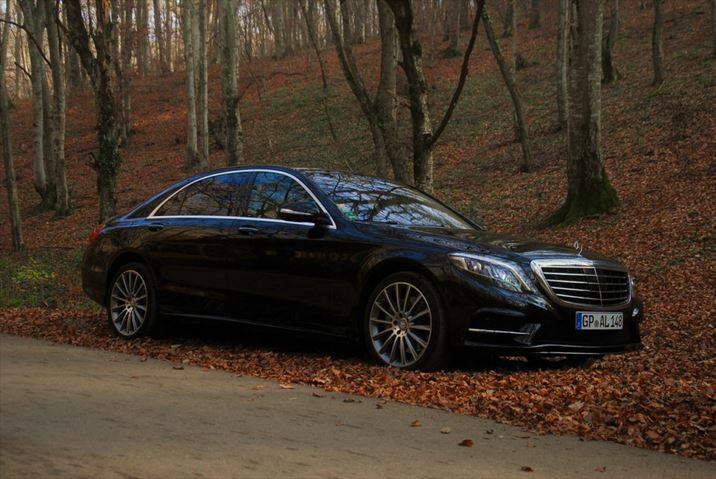 The C-Class’s manual gearbox and low CO2 emissions make it an attractive company car option. Whilst even the more popular automatic models offer comparatively low company car tax bills. The fuel economy statistics are remarkable and it has a strong resale value too. The high range AMG performance models’ bigger, more powerful engines make it more expensive on fuel, insurance and servicing costs. Enhanced features are available even in entry-level SE editions, such as a reversing camera, 16in alloy wheels, Artico leather seats, climate and cruise control. Whilst the Sport trim, further adds a sat-nav, full LED headlights, bigger 17in alloys, flashier interior trim, heated front sports seats and front/rear parking sensors. The price is even higher for the AMG Line trim, but the enhancements are mainly cosmetic and probably not worth the extra premium. Upgrading to the Airmatic air suspension for a smoother drive, and the Comand infotainment system is recommended. The C43, C63 and C63 S get larger alloy wheels as standard, plus a full AMG bodykit, AMG sports seats, a flat-bottomed performance steering wheel and leather upholstery. The C-Class record on reliability is not brilliant, being fairly mid-low range when compared to most competitor models and manufacturers. A three-year, unlimited-mileage warranty and three years of breakdown cover is available as per the market standard. The C-Class models standard safety and security features include seven airbags, a collision prevention system which automatically applies the brakes to help stop you from running into the back of the vehicle in front. Furthermore, there is a tyre pressure monitoring system to alert you early if you have a slow puncture, and a system that can detect if you are getting drowsy on a long journey. The Mercedes C-Class has a stylish look, being spacious, comfortable and diesels which are super-efficient. Their diesels have low CO2 emissions, good range of standard features, an mid-range infotainment system but has a relatively noisy engine and fairly highly priced. The familiar 2.1-litre diesel in the C 220 and C 250 BlueTEC has been designed for economy and silence, and with useful overtaking speeds, but not the quietest when started from cold. The steering gets more direct off-lock and the calibration is good, with mild understeer at road bends when at speed. The ultimate C is the C63 S, with an M3-beating 517bhp for 0-62mph in 4 seconds. The C-class is good on cruise with driver-assist options which use radar, stereo camera and ultrasound to evaluate obstacles around in the surroundings. Mercedes-Benz C250 BlueTEC Sport 4dr Auto pricing starts from approx £34000. The Mercedes C 220d Sport 7G-Tronic is a compact executive name brand. 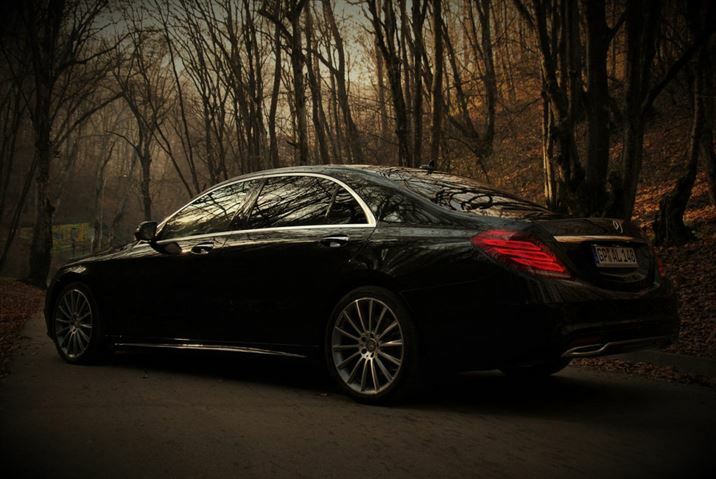 The Mercedes C-Class represents a series of cars which are luxurious, refined and fun to drive. Other competitor brands in the same range include those such as the Alfa Romeo Giulia, Audi A4, BMW 3 Series, Infiniti Q50, Jaguar XE, Lexus IS and the Volvo S60. Alongside, these are the high range Ford Mondeo, VW Passat and Skoda Superb. The Mercedes C-Class price list starts from approx £30k for the SE in manual mode, whilst other trim levels include the C-Class SE Executive Edition, the C-Class Sport and the C-Class AMG Line. Most of the C-Class models are diesels, using either the 1.6-litre single-turbo four-cylinder unit in the C 200d or the venerable 2.1-litre twin-turbo four, which makes either 168bhp/400Nm in the C 200d or 201bhp/500Nm in the C 250d. The higher-power 2.1 can also be supplemented by a 27bhp/250Nm electric motor in the C 300hh model, a mild hybrid, but there’s a C 350e plug-in hybrid too with an 81bhp/340Nm electric motor backing up a 2.0-litre turbocharged petrol with 208bhp/350Nm. That 2.0 petrol engine is the same unit found in the cheapest C-Class you can buy, the 181bhp/300Nm C 200. Whilst, at the top of the range are the AMG models. The AMG C 43 gets a 362bhp 3.0-litre bi-turbo V6 and comes fitted with Merc’s excellent 4MATIC all-wheel-drive system, which makes it fast but it still cannot match the rear-wheel drive C 63, which had a 503bhp S model. The C 200, C 200d and C 220d ranges come with a six-speed manual gearbox as standard, whilst the nine-speed automatic is available as an option. The auto is standard on all other models in the range, bar the AMG versions, which get the MCT Speedshift seven-speed dual-clutch. The C-Class was the first car to be built using Mercedes’ new rear-wheel drive architecture (called MRA), which uses 50% Aluminium in its construction thus reducing the overall weight by 70-100kg from the body. This helps improve the driving experience and efficiency. The standard suspension offers a comfortable drive if you maintain the 17-inch wheels or smaller. The Airmatic Agility package adds air suspension, adaptive dampers and an Agility Select function that allows you to choose from Eco, Comfort, Sport and Sport+ driving modes. On smooth roads, any C-Class with this floats over bumps, yet potholes, broken tarmac and motorway expansion joints send a crash through the otherwise undisturbed comfort in the cabin. For a true drivers experience, the C 63 is the choice. AMG have worked hard to improve the suspension and steering, to deliver the sort of composure and engagement that drivers of the standard C-Class can only dream of. For the ultimate AMG C-Class experience though, drivers should employ the Coupe models as they have their own bespoke rear axle and suspension settings. The 2.0-litre petrol engine is okay as far as it goes, but it’s the hybrids that offer the stronger performance. The electrified models are at least 120kg heavier than any other non-AMG C-Class, but the C 350e saloon dips below 6.0 seconds for the 0-62mph sprint and the C 300h is 6.4 seconds. The C 350e hybrid is an easy comfortable drive on the road, whereby the systems are controlled with a small switch at the rear of the COMAND dial in the centre console. Each press cycles through to another of the four different modes of operation: Hybrid for a mix of electric and petrol power, E-mode to drive on pure electricity, E-save to preserve the level of charge in anticipation of some EV driving later in your journey, and Charge, which force the engine to work slightly harder and top up the battery. Completing the range are the two AMG-tuned cars. The lesser C 43 features a 362bhp bi-turbo V6 mated to Merc’s excellent nine-speed gearbox and four-wheel drive. The saloon will race to 62mph in 4.7 seconds, while the Estate is one tenth slower over the benchmark sprint. The high range Mercedes-AMG C 63 is a powerful car, which uses a mighty twin-turbo 4.0-litre V8. It’s available in ‘standard’ 469bhp trim and wild 503bhp S guise. The latter will sprint from 0-62mph in just 4.0 seconds as a saloon (4.1 seconds for the 63 estate, 4.0 for the 63 Coupe and 3.9 for the 63 S Coupe) and can be specified with a raised speed limit of 180mph; decide not to opt for this and both cars are electronically limited to 155mph. The new engine sounds incredible, too, emitting a NASCAR-style bellow at high revs. The relatively low running costs of the diesel models makes them appealing to those covering high mileages. For the petrol models, the 47.9mpg offered by the 1.6-litre, 156bhp C 180 is no better than that achieved by the C 350 CDI with its 3.0-litre V6 motor, 265bhp and well in excess of twice the amount of torque. Whilst, for the smaller diesels, the C 200 CDI should use least fuel, but it manages 57.7mpg in manual or automatic form compared to the outstanding 68.9mpg of the manual C 220 CDI with its band B tax disc. This is a 144mph Mercedes saloon that costs nothing to tax in year one and £20 per year thereafter. 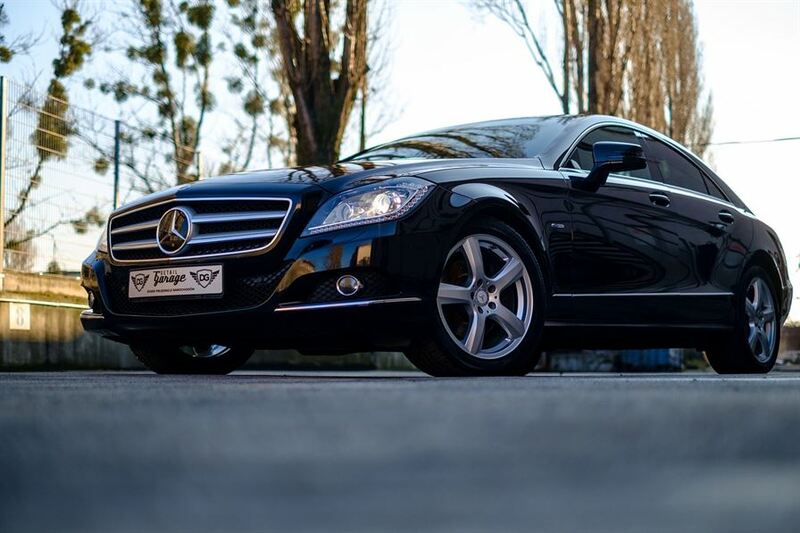 The Mercedes car is an executive type car, ideal car if you are in the prestige taxi industry providing clients with a service of high standards.